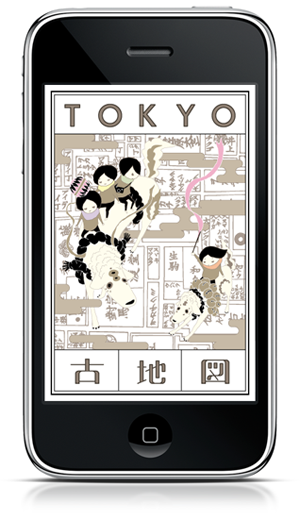 "TOKYO Kochizu" is a navigation-style iPhone App of the Edo that takes you to the city's historical sites. Linked with GPS, TOKYO Kochizu allows you to locate yourself on the map of Edo (limited only within the certain areas in Tokyo) . 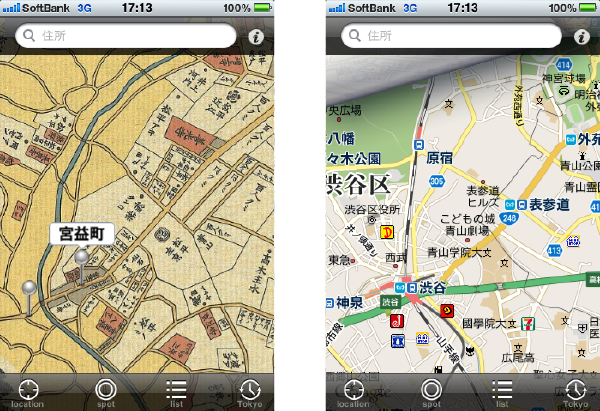 By comparing the past and the present of the location the user can see the atmosphere of the Edo period and its change. The "footprint" feature allows you to leave pictures of the sites on Kochizu map, you can also make a photo album linked to the sites. The App also includes historical guide and trivia on the each site. The "spot" button allows you to find sites near the area. Double-click to see historical information on the each site. Copyright © 2011 . bolabo.lab All Right Reserved.